I have a fair few skincare favourites and I will post my current routine soon as since testing new products for my Skincare Updates series, I've settled into something more stable. I've mentioned the first two products a few times so let's get those out of the way without rambling on too much! Firstly is the Vichy Aqualia Thermale Serum (£17.50) which is so lightweight, refreshing and hydrating (not to mention, affordable for a serum). Along similar lines is the Body Shop Vitamin C Glow-Boosting Moisturiser (£16). This is a gel-textured moisturiser, which means it sinks in and hydrates my skin really quickly, and I definitely feel my skin looks plumper and more glowing after use. Apart from dehydration, my other main skincare concern is blemishes, especially in the heat. In step REN's Clearcalm3 Clarifying Clay Cleanser (£19). I need to to a proper review on this because it is some good stuff! Although it contains clay it's not drying at all; my skin feels less oily but still soft after use. I remove my makeup and use it as my second cleanser directly on the skin. I liked it before I went on holiday but since the post-holiday breakout this has been a life-saver and has cleared it up in no time. Bridging the gap between makeup and skincare is the Cover FX BB Gel Anti-Blemish Treatment* (£35, review and swatches here). Again, I've gushed about this one left, right and centre so I'll keep it short and sweet! My sun-induced breakouts have been a lot less severe than in the past and I don't doubt this has something to do with it. It's got a shine-free but non-drying matte finish, it lasts amazingly well throughout the day and it gives the perfect amount of coverage. It's rare that I love mascaras but recently all the ones I've picked up have been winners and I have two here in this month's favourites. Firstly is a bit of a re-discovery, thanks to Jet2's further 20% off Duty Free... I wasn't going to get it as I wasn't obsessed when I tried the Elle sample, however after picking up the full size I can safely say I love Benefit's Roller Lash Mascara (£19.50). Maybe it was hype-aversion but a few months on and I just love the length, definition and oomph this gives my lashes. Another everyday pick is L'Oreal's False Lash Flutter Mascara (£10.99) - thank you to Heather from Porcelain Beauty for getting me to buy this on our shopping trip! The brush is really unique and just hooks onto your lashes and spreads the product perfectly through them to add some serious length and a nice, non-clumpy amount of volume. I have two final makeup favourites and both were blogger-induced purchases. Firstly is the Laura Geller Blush n Brighten in Pink Grapefruit (£15.50) - thank you to Laura from She Likes to Shop. This is a beautiful pink-toned highlighting blusher. In price and quality it's somewhere between the Max Factor and Hourglass offerings and is well worth a look. It's not so much the 'glow from within' look as the Hourglass and it doesn't last as long as those but it applies beautifully and I love the pigmentation. Another blogger recommendation, again courtesy of Heather and also Kimmy from Beauty Isles on Instagram (thank you ladies!) comes in the form of MAC Quarry Matte Eyeshadow (£10, Pan Only). I'd literally never even heard of or seen this shade so I'm really pleased to have found out about it! I'm building my MAC Pro Palette and wanted a warmer and a cooler crease shade and this one will be perfect for more taupe-based eye looks. It's just the right level of pigment and blends really easily. I know this was in my Summer Beauty Edit but I just couldn't resist mentioning it here! It's the Body Shop Honey Bronze Dry Shimmering Oil in 02 Golden Honey (£16). It's really nourishing to my skin, I love the honey fragrance and the slight shimmer and tiny amount of tint in this make it so flattering! It's just one of those products that makes you feel great whilst you're wearing it. Getting a good night's sleep has never been a talent of mine but two products I discovered this month have definitely helped me a lot. Firstly I picked up the Body Shop Deep Sleep Comforting Milk Bath Float (£14). I don't know if this is new or a re-release but I hadn't seen it before so after taking a sniff of the milky, calming scent I got myself a bottle. It really does smell amazing, produces some serious bubbles and gets me in that sleepy, relaxed mood. Finally is the This Works Deep Sleep Pillow Spray (£16); late to the party, I know! I just really couldn't imagine that this would do much for me but recently I had a voucher and just thought I may as well give it a try. I've honestly never drifted off so quickly into a consistent, stable sleep as I have done with this! It really is something special. What do you think of my favourites and which product did you love in July? I spotted the Laura Geller blush in the photo immediately, it's super gorgeous! 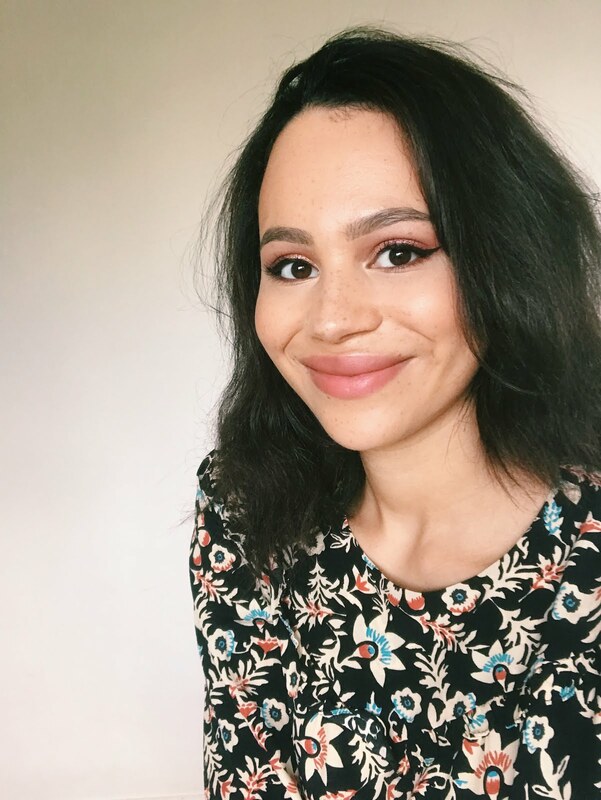 I wasn't blown away by the sample of Roller Lash I tried but maybe I should give the full version a go after reading your post! The L'Oreal mascara looks worth a try too! I still haven't tried Roller Lash and feel like I'm seriously missing out! The body oil sounds great! :o need to check it our! The blush looks beautiful too!! I own the bodyshop vitamin C moisturiser too and its indeed the perfect summer moisturiser. Light weight but still giving my skin all the hydration it needs after all this sun exposure. I love the scent too. I'm glad oyu like the roller lash mascara, I personally don't ;) That Laura Geller blush looks amazing! I love The Body Shop, they have such amazing products! So many lovely picks! I think I need to take a trip to The Body Shop! Great picks! :) That Honey Bronze oil looks delicious, perfect for a Summer tan as well!! I love the Vichy serum! I'm also intrigued by the Body Shop body oil - it looks amazing. The Ren cleanser sounds perfect for me, I really need to try products that will help clear my skin right now! 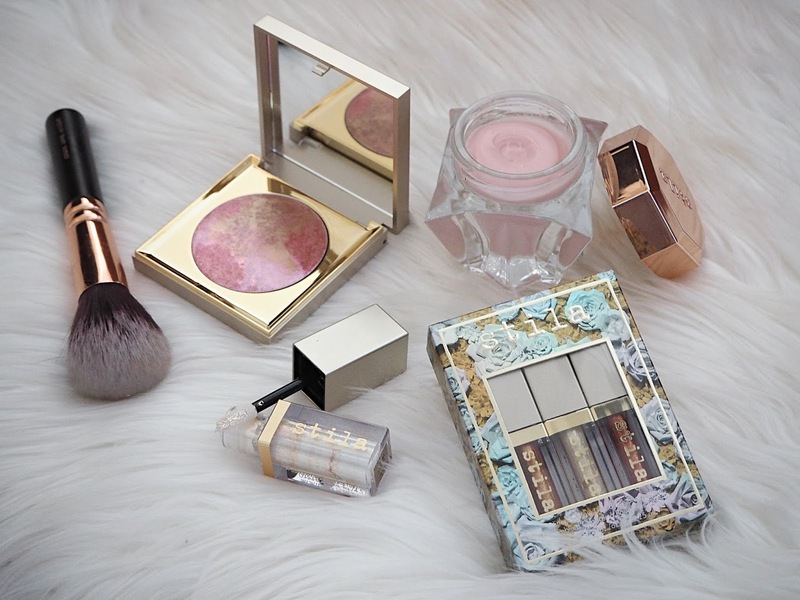 Some great products and the blush is so pretty! Need a glow boost for my skin so the body shop moisturiser sounds perfect. The bath float and pillow spray sound amazing! I usually don't need help sleeping but I love having baths, they are so relaxing! I love the REN cleanser on a morning! I really want to try the Vichy serum, it sounds lovely. Your favorites were very interesting to read. So far, my favorites in July have been gladiator sandals (adorable), slip-on sneakers, and discovering different Korean skincare products! Apparently Korean skincare is much, much better than the US and I totally believe it. I'm happy I found your blog! That deep sleep pillow spray is amazing! They also do a bath oil that I had a few years ago and loved. 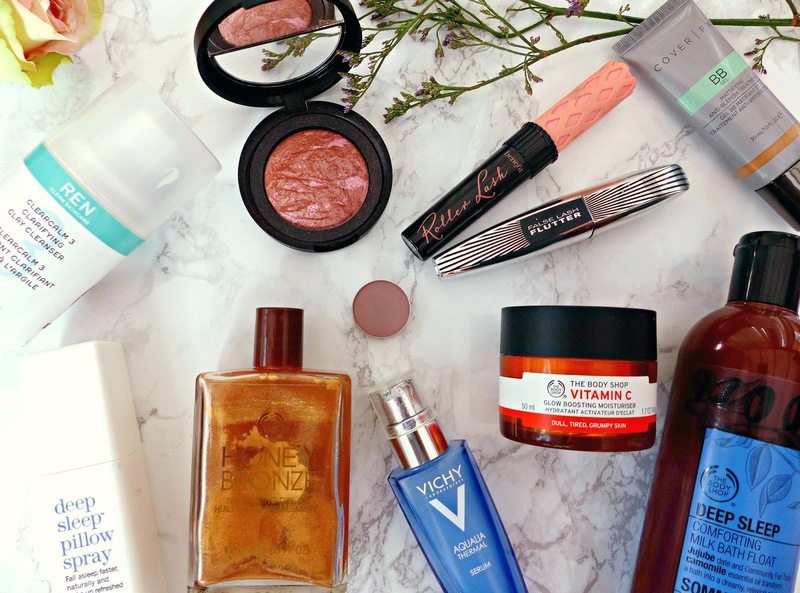 July favourites have come around quick! I'm sitting here right now with my list trying to write the post for Sunday.